Ahead of Apple's Chinese launch of the iPhone 6 and 6 Plus later this week, Apple today confirmed the launch of its new handset models in 36 additional countries and territories by the end of October. In its fastest rollout ever, Apple expects to launch the iPhone in 115 countries by the end of the year. The next round of launches coming this month will include countries in Europe, Asia, the Middle East, Africa and Latin America. Apple has been busy with new products this fall in a product lineup that has been described by Eddy Cue as being "the best product pipeline that I've seen in my 25 years at Apple." 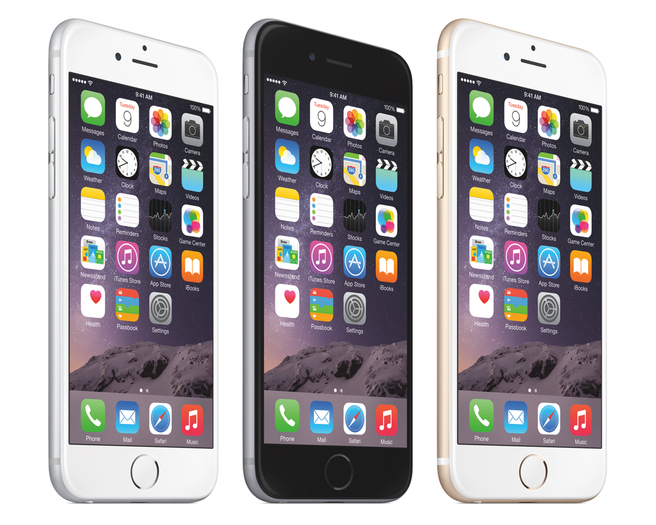 Apple already announced the new iPhone 6, iPhone 6 Plus and the Apple watch at a press event held last month. An upcoming October event is expected to unveil new iPad models, new iMacs and possibly new Mac minis. Cue the racist xenophobic and business-stupid complaints about Apple starting to sell in other counties before meeting the demand of every white person who wants a phone first. It isn't racist, it's common sense. If I pre-ordered on Sept 12th, or even ordered in late September, I'd be pissed if someone got theirs before me that didn't order until late October. How was that comment racist? You DO realize there are Asian people in the US, right? And black people? And every other race and color. Not wanting the US models sold elsewhere isn't being racist. You're ridiculous. One of those that cry racism over nothing. And yet stock of *ANY* iPhone 6+ is totally nonexistent. From looking at stock levels in istocknow, this could be one of the worst managed launches Apple has ever done. And there are how many threads with people whining about their iPhones taking so long to arrive? Wish they had 32Gb base model, now instead have to spend more for 64Gb. Seriously what fits in a 16Gb version anymore? Greedy much :apple: ? And this is why despite placing my order day one, I don't have my iPhone 6 PLUS yet. this could be one of the worst managed launches Apple has ever done. 'Worst...' Really?! Just because you don't have your phone yet doesnt make the biggest ever roll out the worst roll out! I wish my company could sell out of all it's stock at a massive profit margin and then sell every single new item as it litterally comes off the production line!! At the rate these things are selling they would have had to have started stockpiling them months and months ago. Which means they would have leaked horrendously, and they would have been stockpiling massive amounts of inventory which is never good. There was a story years ago about Tim Cook bringing just in time inventory to Apple, they hold very little warehouse stock and this is a good thing for Apple as a business, in fact for just about any manufacturing business. And there's the ignorant social justice warrior trying to look enlightened and sophisticated and who is actually the racist. I know a few people with 8GB and 16GB devices who have had to delete apps and photos to update to iOS 8. It's a luxury item sold at predetermined price points.